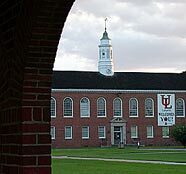 The University of Louisiana at Lafayette has submitted its plan for how it will deal with a state-mandated budget cut of $4,320,845. “ In making budget adjustments, the top priority is to protect the university’s core mission of academics and academic services that benefit students,” said UL Lafayette President Dr. Joseph Savoie. UL Lafayette must reduce its budget by $4.3 million due to a drop in state funding caused by plummeting oil revenues. University officials predict more cost cutting measures will be needed next year since state officials have projected a statewide shortfall of $2 billion. UL Lafayette targeted budget reductions so as not to affect academic quality. The largest reduction in budgeted expenditures will be in deferred maintenance and major repairs – $3.2 million. The university is also reducing funding to information technology initiatives and various outreach services, such as economic development initiatives. Among the centers affected are the Louisiana Immersive Technologies Enterprise and the Picard Center for Child Development. University funds to those centers will be reduced by 4.62 percent of their entire state general funds appropriation. Also being cut by 4.62 percent is university support for athletics. Travel is being reduced by $200,000, while supplies will be trimmed by $100,000. Collectively, these actions will reduce the university’s current year expenditures by the targeted $4,320,845, or 4.62 percent. “We are committed to making this university better for our students and our region. Given these difficult economic times, we will make the tough decisions needed for the University of Louisiana at Lafayette to continue to make progress,” Savoie said.